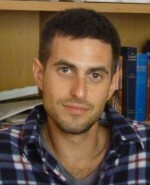 Stephen Rubin is an independent writer and researcher in Rehovot, Israel. He holds an M.A. in Diplomacy from Tel Aviv University and is completing his license to become a certified tour guide with the Israeli Ministry of Tourism. You can follow him on Twitter @TheRealRubin.